I totally blame Shona who is hosting this challenge and I am wondering if she plans to start a support group soon for those of us she has lured into this addiction. Now, I rarely watch movies or television, but since reading the list of books by episode (and wondering who on earth had time to watch and document all that data), I have now decided that I want to watch all episodes in order. I did periodically enjoy the show when it was on network television, but I don’t think I tuned in until the 3rd season. So tonight, while my husband and I were out and about, I suggested that we just pop into Half Priced Books to have a look around. Well, call it fate – call it karma – whatever you want…..they had the first four seasons of the show on the rack on newly received items. It was meant to be. An early birthday present to myself. So I did what I never, ever do….I made an impulse purchase and bought all 4 seasons at one time!! I have rationalized that this will be a great way to unwind each evening after grading finals. So, as if you hadn’t guessed, I am going to officially sign up for my first reading challenge of 2010. 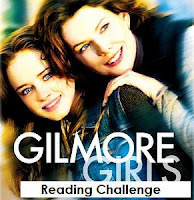 I debated about joining the Gilmore Girls reading challenge hosted by Lisa of Lit and Life , but somehow it was just too much pressure to read the books in a single year. I would not want to be an Emily (she is such a know-it-all), but truthfully the Rory level of reading 20 books in a year seems rather daunting. I much prefer the ongoing – never ending challenge (that is, I can just read one book in a year and still be successful). Some of you may prefer both challenges as you are allowed to double-dip so to speak, but I don’t want to over-join too early in the 2010 season. There are still a couple of other challenges that I am very close to joining, but I will save that for another post. Now it is time to sign off and watch the first episode of the modern day classic. Where has all the time gone?! You are in for such a treat! The Gilmore Girls rock! I hope they do a reunion show or pick the series up again. I miss it. Thanks for the info! I"ll read that site tomorrow at a more suitable hour. I've been watching GGs via Netflix for a while now. I'm up to Season 3: Disc 5 or something like that. I love this show. It's a nice escape. Great characters and actors. Wow.. I have the first two seasons and I love watching them again and again.. U definitely got a good deal there..:) I too cant handle pressure so I made it a perpetual project.. 🙂 Read at my leisure .. 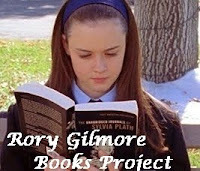 I've never seen Gilmore Girls, but I watched that clip and I adore Rory. I have fantasies that if I had a daughter she'd be just like that. Have fun with the challenge. I love the Gilmore Girls! I have all seven seasons and watched all of them in a very short period of time. Rory's bookishness is wonderful and that clip reminds me of so many great moments. Enjoy! Also, have a very happy birthday. I own all 7 seasons and I have probably watched them all 5 or 6 times. It's by far my favorite show. I haven't joined either challenge yet, but I'm considering it. Hooray for impulse buys. I know you're going to love seeing all the shows one right after the other. I did that a couple of summers ago (from Netflix) and got completely caught up in it. I'm thinking about joining you but still thinking. Good luck with the challenge. Thank you Molly for joining the challenge! I never saw the show but now I wonder if I should!!! Sounds like a fun challenge! I've not watched this show and I've seen the posts about this challenge and it has me interested! Thanks for sharing that youtube clip. I had no idea their was such a bookish focus to the show. I've put the series on hold at my library and can't wait to watch the series. I am not too successful with completing challenges so I'm not sure yet about joining any next year.